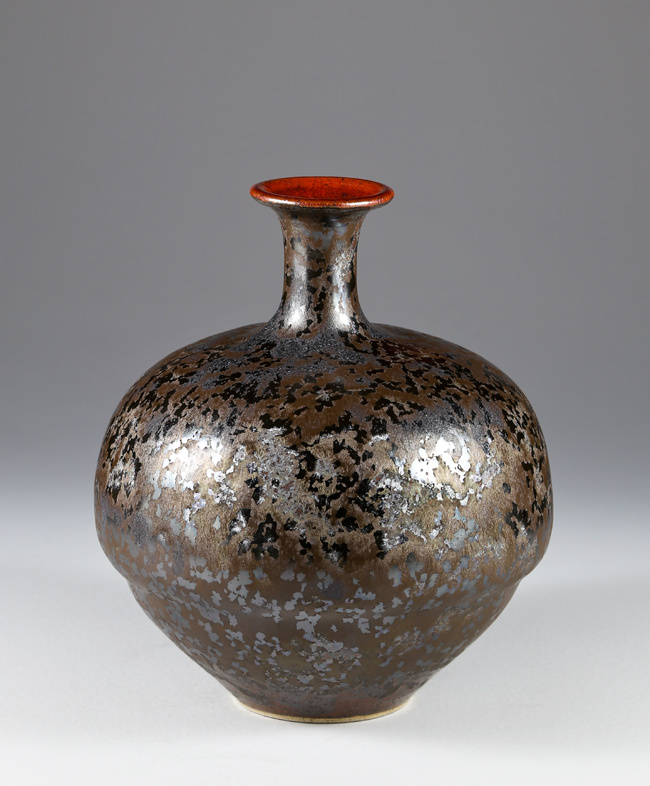 A photograph of a bottle vase that came out of the kiln last month. It's stoneware, with a manganese crystal glaze that I use on rare occasions. I love the way the glaze breaks into random crystal shapes on the surface. This piece stands about 30 cm tall. I'm putting this vase aside for now, in anticipation of a group show I'll be taking part in this summer at The Gallery at L. E. Shore in Thornbury, Ontario. The exhibition runs during July and August, with an opening reception on July 6th, 2-4 p.m.
We've had a very wintery winter here on the Bruce Peninsula, but there are some signs of spring, and warmer days ahead. I've recently delivered selections of functional work to two local stores  The Owen Sound Artists' Co-op, and Symon Says in Wiarton. Summer Invitational 2019 July and August at The Gallery at LE Shore in Thornbury, ON. I've been asked to take part in this wonderful multi-media group show. Art in the Garden July 13th, 10:00 am to 4 pm at Keppel Croft Gardens in Georgian Bluffs, ON. The once a year, not to be missed art event at the remarkable Keppel Croft Gardens.